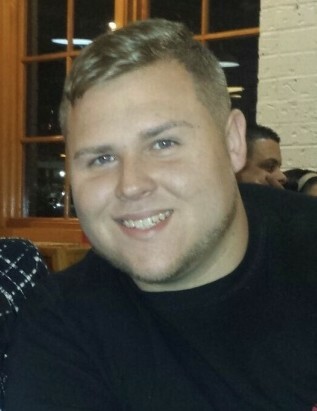 SEHRES, Scott David, age 24, of Tampa passed away on Sunday, December 2, 2018. Scott came to Tampa in 1996 from his native Baltimore, Maryland. He attended Mulrennan Middle school and Plant High School where he played football and established many lifelong friends. Scott was avid sports fan and had an affinity for the University of Miami Hurricanes, Miami Dolphins, and the Tampa Bay Lightning. Survivors include his loving parents, Laura Sehres and Randy Sehres, his grandparents Linda Bergeron, Max Yeste, and Betty Sehres, his step-mother and step-sisters, aunts and uncles, and cousins. Burial will be private. A memorial service will be held Friday at 2:30pm at Congregation Beth Am, 2030 W Fletcher Ave, Tampa, FL 33612. He loved dogs and wanted to become a psychologist to help others. In lieu of flowers, memorial contributions can be made to the Humane Society or any organization that supports mental health education and support. Condolences may be expressed online at segalfuneralhome.com.